Freelance outsourc ing, including KPO services, is already a popular trend among online jobs and stay at home jobs. As a freelancer, any individual with appropriate knowledge and experience could perform and offer many types of outsourcing services online such as article and content writing. 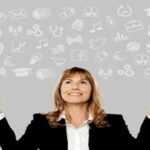 Aside from these, there are lots of computer- and knowledge-based services one could easily accomplish from the convenience of his or her own home and with a sufficient pay from his or her online employer. On the other hand, before one could achieve success as a freelancer, he or she should first have a strong and eminent presence throughout the Internet. And this is primarily the reason why there are lots of advertisements about freelancers all over the Internet. In fact, freelancers dominate most online job sites and, now, even the social networking sites. Where do these freelancers come from? And how come this industry is continuously booming despite the influx of freelancers in every part of the world? This is probably because of the enormous opportunity presented by the Internet. Almost anyone could offer freelance KPO services. Given the right and sufficient knowledge, guidance, and support, anyone can offer these services and match the productivity and quality of in-house employees. And as worldwide economy is still gradually recovering from the previous downfalls, cost cutting through termination of contractual in-house employees by numerous small and large companies has begun. They replaced these employees with online freelancers who’ll perform the same exact service, with lower service rates/pay and don’t require company benefits; although, some generous companies provide freelancers and stay at home employees with sufficient benefits and insurance. Hiring online freelance KPO service providers, although requires a lower pay rate, comes with its own risks and challenges. The employer has no assurance that quality will be comparable with leading companies or that the freelancer would comply with whatever they have initially agreed upon. The employer has no direct control over freelance individuals. What he could control, however, is the amount of completed products/services by the freelancer. Freelancers generally have limited assurance in getting paid for KPO services. No matter how many freelance KPO service providers are there in the Internet and no matter how enticing their advertisements are, an employer should conduct a background check to the freelancer. Similarly, freelancers could also conduct background check to ensure their personality and character. Leilaine Suarez is an online marketing strategist with several years of solid experience in knowledge and business process outsourcing. 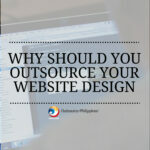 Today’s Talk of the Town: What is Outsourcing?